D.1-5) Study the following information carefully and answer the question given below. Table shows income, increment percentage expenses and saving details of three employees for three years. 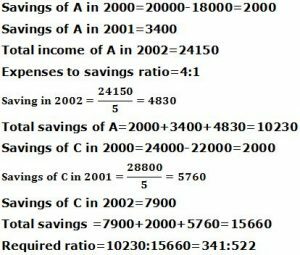 Q.1) If the ratio between expenses and savings of A in 2002 is 4:1and the ratio between expenses and savings of C in 2001 also 4:1, then what is the ratio between the total saving of person A and person C? Q.2) Income of the person B in the year 2000 is what percentage of total expenses of person B, if savings of person B in 2001 is 800 more than previous year? 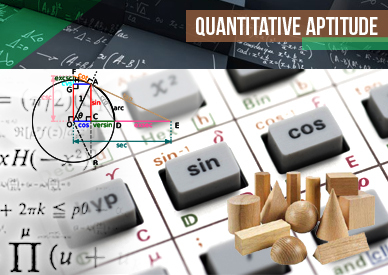 Q.4) Income of A in 2001 is approximately what percentage more/less than the average income of A? 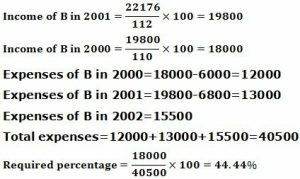 Q.5) If the income of A in 2000 is doubled and the percentage increment of A in the year 2001 is also doubled then what is the income of A in 2002? D.6-10)Observe the contents of the table and answer the questions accordingly. The following table will show the details about the investments and profits acquired in the various brands of cookies by three products. Q.6) If C has invested in Keebler 33.33% more than what invested by B in same product, then what is the profit earned by A in the same brand (In Rs)? Investment made by B = 16000/(133.33)×100=12000rs. So for 10000rs, the profit will be 2020rs. Q.7) What is the overall investment made in the brand Britannia (in Rs)? 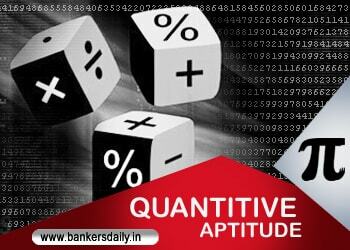 The proportion of profit obtained by B by investing 46000rs is 4600rs. So, C must have invested 28000rs. Q.8) If the profit obtained by B, by investing the money in Maryland is 45% of the money invested by A in the same brand then what is the average of the investment made by all the three persons in the same brand (In Rs)? Q.9) The overall profit made by all the investors from Archway is approximately what percent of the profit obtained by all investors from Britannia? The overall profit made by the investors from Britannia=144000rs. The overall profit made by the investors from Archway= 2250rs. Q.10) What is the sum of the profit obtained by all the investors from Snack Well’s if the investment made by them is four times the profit made in Keebler in (In Rs)? Since the proportion of the investment made by the investors is not given, we cannot determine their individual investments.